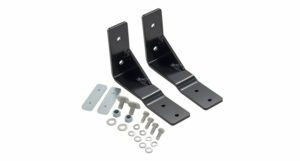 Got an awning already and need brackets to support it? 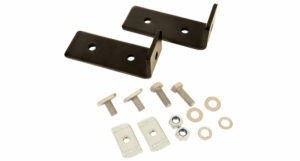 There are many different brackets, T bolts and anchor plates to suit. Easy-on, easy-off. There's just no quicker way to get your awning on and off your roof racks. With Yakima SpinViceTM tech, you'll be done in seconds, with a totally secure fit to most roof racks and platforms. 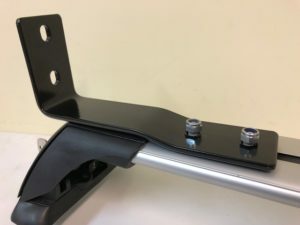 Steel Awning Extended Brackets (pr) are suitable for mounting awnings on flush mounted racks, to allow awning to cantilever to the edge of the vehicle.The brackets are made from 50 x 5 mm mild steel, then zinc cad plated and powder coated black. 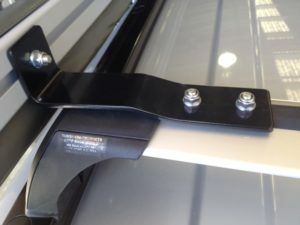 Steel Awning Extended Brackets (pr) are suitable for mounting awnings on flush mounted racks, to allow awning to cantilever to the edge of the vehicle. The brackets are made from 50 x 5 mm mild steel, then zinc cad plated and powder coated black, and have a single 8mm hole in the vertical upstand. Can be used on many different profiles of bars, and pioneer platforms. 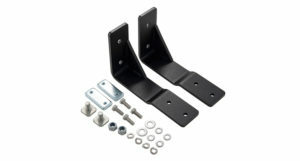 Includes bolts and nuts for sports and commercial bars, suitable for Rhino awnings and other branded awnings. Can be used facing upwards or facing downwards. 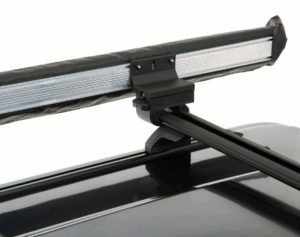 Wouldn’t it be great to be able to attach your current awning to your roof rack system? Well now you can. The Awning Kit has been designed to fit awnings to aero and commercial bars. 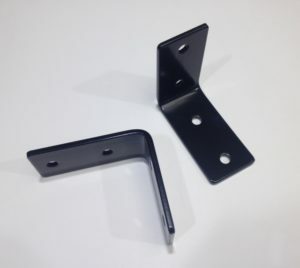 Steel Awning Extended Brackets (pr) are suitable for mounting awnings on flush mounted racks, to allow awning to cantilever to the edge of the vehicle.The brackets are made from 50 x 5 mm mild steel, then zinc cad plated and powder coated black, and have a two 8mm hole in the vertical upstand at 50mm centres. Allows you to fit your foxwing and awning to an ARB tray or a TJM tray. 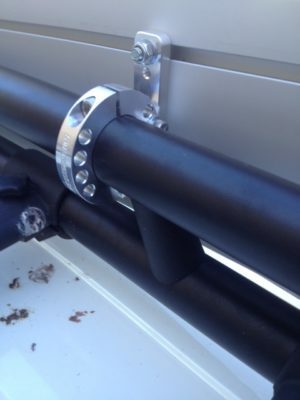 No drilling required, simply u bolt to cross members of your roof rack. 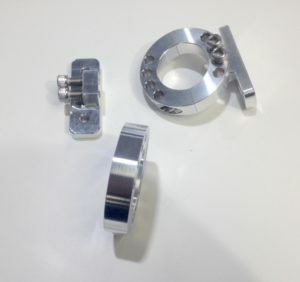 Includes 2 brackets, U bolts and nuts for easy connection. 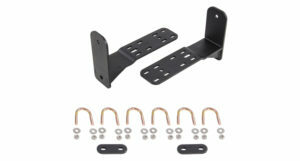 The Batwing HD Bracket Kit has been designed so that the Batwing Awning can fit the Rhino-Rack Heavy Duty Bar. The fitting kit will allow you to attach the Batwing Awning to the side of the Heavy Duty Bars in turn freeing up the crossbar to hold other items or accessories. 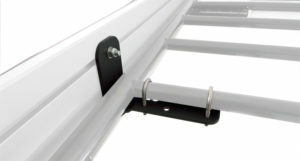 Suitable for ARB Awnings (48mm spacings) and Kings awnings, and other awnings, with single slot or double slot on rear. Fixes without drilling holes to your FJ cruiser with the factory rack. Fits either left side or right side. 1 3/4" Diametre. 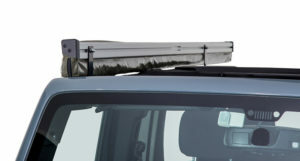 Alloy construction, simply tighten allen key bolts to clamp around the Factory fitted roof rack. Fits to top rail only. The Universal and Sunseeker Awning Kit is a bracket that allows you to fit the Rhino-Rack Sunseeker Awnings and also other branded awnings to the range of Rhino-Rack Pioneer Trays, Tradies, Platforms and also our Vortex crossbars. This Sunseeker Awning Bracket is designed to fit onto Rhino-Rack's flush bar roof rack systems such as RSP, SG and 2500 RS. 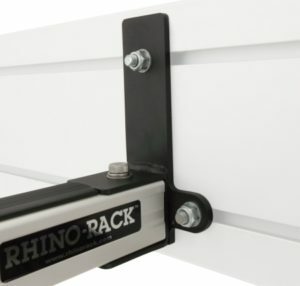 Transforming your sleek flush bar roof rack system into a camping and outdoor activity accessory is never easier with the Rhino-Rack Sunseeker Angled Down Awning Bracket. The Foxwing ARB/TJM Bracket Kit is designed so that you can fit the Rhino-Rack Foxwing Awning to an ARB tray or a TJM tray. 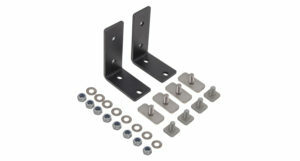 Made with powder coated steel this Rhino-Rack Bracket is sturdy and corrosion resistant. 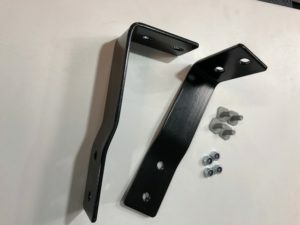 This bracket kit has been specially designed to attach a Sunseeker Awning to your 4dr Jeep Wrangler on the right hand side.